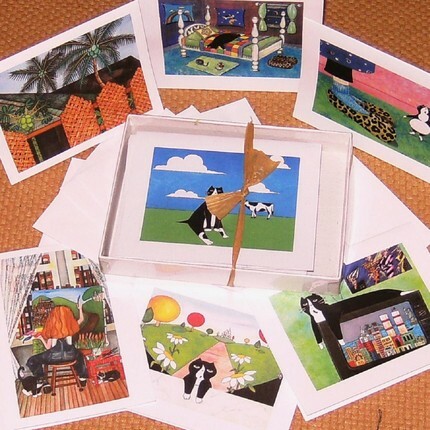 A complete stationary set with cards, flat magnet and a print from your choice of the artist’s prints. You can see more of her work here. I love stationery. Thanks for the chance. You win the Stationary Set from Visual Smiles: a complete stationary set with cards, flat magnet and a print from your choice of the artist’s prints. Go to http://www.etsy.com/shop/lindagj to select your choice of prints. I will email her and give her your email address. You will need to correspond with her to get your stationary set!